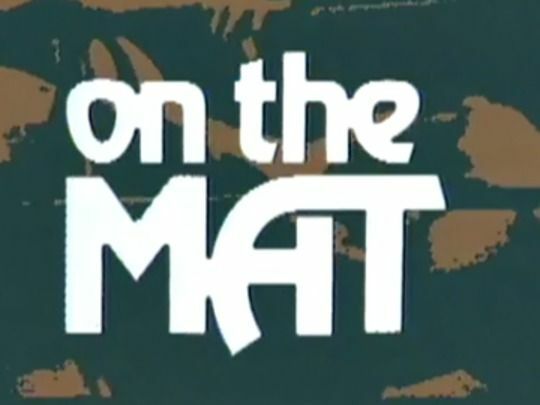 Legendary professional wrestling TV show On the Mat ran from 1975 until 1983. 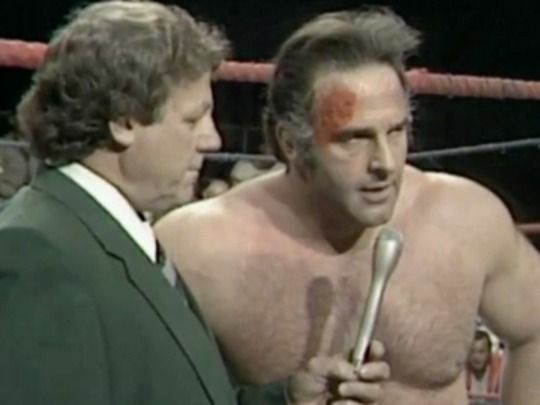 Each half-hour show featured wrestling matches accompanied by commentary - promoter Steve Rickard described the technical in-the-ring aspects and Ernie Leonard, and later Barry Holland, added colour. The larger-than-life wrestlers were a mix of US imports and local characters: King Curtis, Samoan Joe, Aussie Larry O'Day, Rick Martel, and Sweet William and Brute Miller (soon famous in the US as The Bushwackers). The show was the catalyst for the boom in popularity of Rickard's pro-wrestling tour. This episode of the legendary professional wrestling series screened in March 1981. Barry Holland and the late Steve Rickard host (Ernie Leonard has moved behind the scenes into a producer role). Rickard welcomes locals and viewers from Kenya, Hong Kong and Malaysia. On the Mat mainstay Mark Lewin features prominently, appearing in tag action before reminiscing about a fiery battle with King Curtis in Japan. Things don't improve as he's attacked by the Voodoo-crazed Big Mullumba. The main event sees local star Johnny Garcia and Samoan Joe battling it out. This episode of the legendary pro-wrestling show screened on 29 July 1980. Ernie Leonard and Steve Rickard compere the action at Canterbury Court Stadium. In the first match up Aussie grappler Larry O'Day teams up with local Merv Fortune to take on Kid Hardie and young Ricky Rickard. An excerpt features Brute Miller and Sweet William (later famous as The Bushwackers) against Lu Leota and Samoan Joe; while Jack Claybourne and Ron Miller round out the bill. Billy T James makes an appearance and comments on the authenticity of the in-the-ring proceedings.